Order online from 80+ Restaurants! Online shopping for the latest fashion, phone, electronics, toys & more! Valid from 18 Apr 2019, 0:00 - 19 Apr 2019, 0:00. Limited to first 500 orders daily. 50% Cashback on Cathay Cineplexes is valid for movie screenings after 18 April as long as it is bookable on the merchant's site. 50% Cashback is capped at $10 per transaction. Valid for one-time redemption per account only. 10% Cashback on Qoo10 is capped at $10 per transaction. Valid for one-time redemption per account only. If your Cashback is not tracked within the tracking period, please file a missing Cashback claim here and we will investigate your claim. 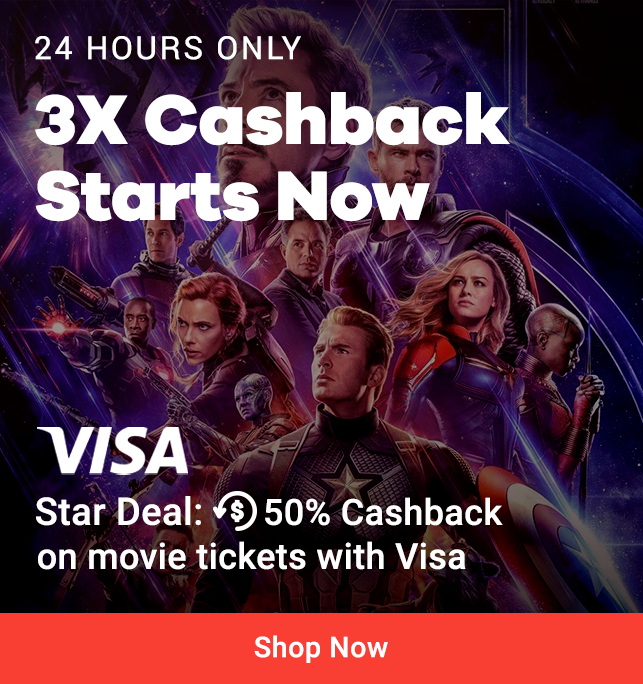 If your last click is not from this campaign page, ShopBack reserves the right to reject the Cashback awarded to the customer. ShopBack reserves the right to deny Cashback to purchases made without Visa cards. ShopBack reserves the right to amend the terms & conditions of this promotion without prior notice. 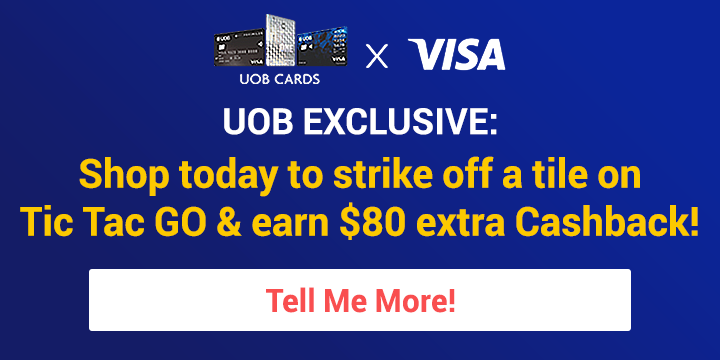 To qualify for UOB Visa Tic Tac GO, user must use a UOB Visa card to make the purchase to be able to qualify. User is also subjected to the campaign's terms and conditions as set out here. Valid from 1 Feb 2019 - 31 Dec 2019.